Water damage can occur year round from a variety sources, and is therefore one of the most frequently claimed property insurance perils. Regardless of the source, 1 in 50 homes files a water damage claim each year (III), and 37% of all homeowners claim to have suffered water damage (Water Smart). Because water damage is so prevalent, it is important for adjusters to understand what to look for when handling claims with water-damaged electrically powered items. The type of equipment, the source of the water, and the extent of the damage are all factors in determining whether or not electrical equipment can be repaired following a water damage event. To assist adjusters with this frequently claimed peril, we are overviewing the types of water damage, what to look for when handling these claims, and options for returning the insured to pre-loss condition. 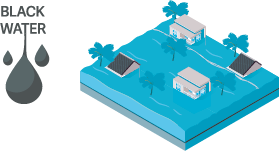 Clean Water — This type of water damage comes from sources like a broken water line or rainwater. This water is not contaminated and is not harmful if you come in contact with it. It is also typically the least corrosive (though prolonged exposure can cause corrosion). This type of water damage is the most likely to be able to be cleaned or lead to a repair recommendation for certain items. However, over time, standing clean water can turn into gray or black water. Gray Water — Gray water is wastewater that is not (yet) a biohazard. This water comes from sinks or tubs, appliances (like an overflowing washer or dishwasher), or from a sump pump. It may be contaminated and is potentially harmful. Over time, gray water can develop into black water. Black Water — This water is contaminated and presents a health risk, because it contains harmful bacteria and disease-causing pathogens that can cause severe illness. This water comes from sources like sewage back up, floodwater, or prolonged standing water exposed to sewage. Before we outline what to look for when assessing water damage to electrical equipment, let’s review why water is so harmful to electronics. While pure water is a poor conductor of electricity, the water that we typically come in contact with is full of dissolved electrolytes. It is actually the ions (sodium and chloride) in the water that are conductors of electricity. If an electronic device is in an on-state when it comes in contact with the ions in the water, it creates a connection where no connection should be, resulting in a large current that damages the circuit. This is known as a short circuit. Corrosion is an additional factor in damaging electronics — even if the electronic device is in an off-state when it is submerged in water. When water comes in contact with a metal, the metal begins to corrode, and the ions in the water speed up this process. The higher the ion content, the faster corrosion occurs. This is why coastal areas with a higher salt level in the water will have a faster rate of corrosion in metals. Once the metal connections in a circuit begin to corrode, it breaks those connections and prevents the flow of electricity. This is known as an open circuit. Electronics with integrated circuits are not typically very water resistant. However, depending on how the item is constructed, it may be more effective at keeping water out and away from the delicate electrical components. Newer computers, for instance, have been designed to be much better at keeping water out of areas that contain the delicate integrated circuits. As reviewed previously, when water initially comes in contact with a device in an on-state, it will short circuit the device. 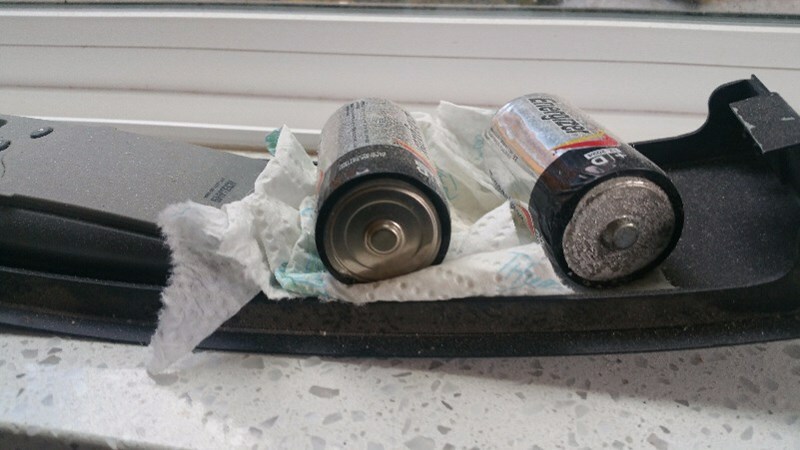 If the item is submerged for a long period of time, the connections will begin to corrode, creating an open circuit; this corrosion usually appears as a white or green chalky substance on the circuit board. In a device with an LCD or LED screen, such as a TV or computer monitor, water spots can develop between the sheets of glass. This can happen when the screen comes in contact with water, or even high humidity. If the screen is heavily saturated with water, these spots may be darker and resemble ink blot. 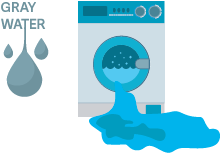 The inside surfaces of appliances that are exposed to water can develop mold if they are not allowed to dry properly. 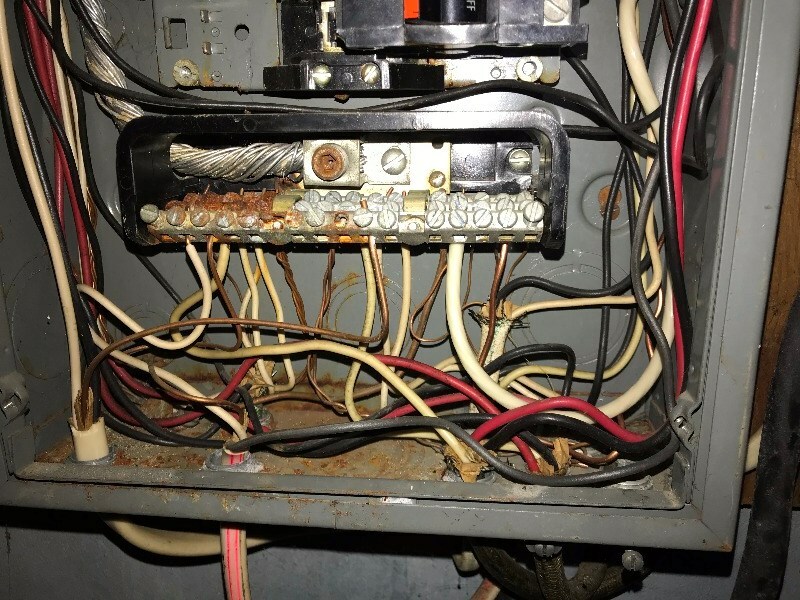 This is frequently seen after severe water damage to a home, particularly following a hurricane or tropical storm where the power is out for numerous days in a high humidity environment. Additionally, looking for a water line on an appliance can be helpful in determining how high the water level rose and what components may have been submerged. Mechanical components found in appliances and specialty equipment can often be cleaned in order to bring the device back to pre-loss condition. 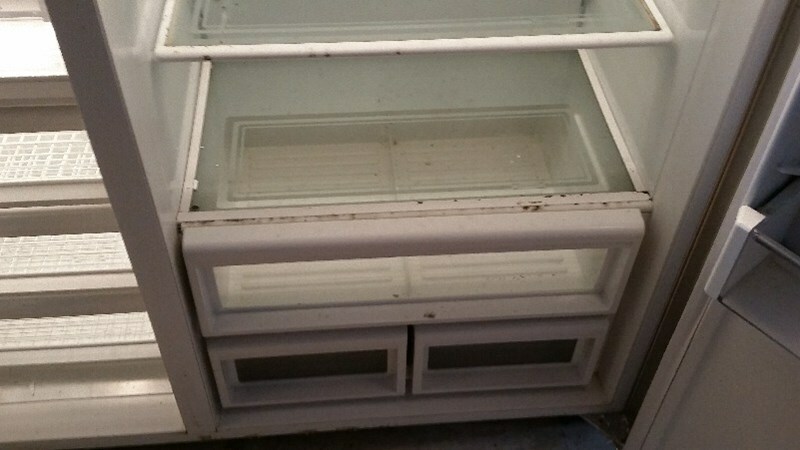 Items such as the sealed refrigerant system on a refrigerator can usually be cleaned. However, it is important to keep in mind how high the water rose and what type of water the appliance came in contact with. You should always have a professional inspect the item before making a decision on whether or not it can be repaired. Electrical components, on the other hand, frequently have to be replaced following water damage. Factors in determining whether a repair option is available include how long the item was submerged, the humidity levels, if the item was running when water damage occurred, and if it was properly dried. Furthermore, adjusters should keep in mind that for smaller electronics, the cost to repair may exceed the cost to replace, depending on the device. Water-damaged electrical equipment can present a significant risk. Electronics and appliances should never be plugged in following water damage until they have been fully inspected by a professional; to do so could cause additional damage to the device, or worse, shock the user. If you are handling a claim with water damage to electronics, whether it is from a flood, a malfunctioning appliance, or a burst pipe, our experts can assess the equipment to provide you with a cause-of-damage determination, a repair or replacement option to return the insured to pre-loss condition, and a recommended settlement amount. Submit a new assignment to our team here.